The aims of environmental watering in the Werribee system in 2014–15 were to promote black bream breeding in the estuary, and help small-bodied fish – such as galaxias, smelt and tupong – move between the fresh and estuarine sections. Environmental watering also aimed to maintain water quality in the lower freshwater reaches and to provide habitat for macroinvertebrates and frogs in the upper reaches. Bill Moulden, Environmental Water Planner at Melbourne Water, said frogs became a target for environmental watering in the Werribee River after feedback from the community in 2012 suggested a positive response to increased water flows. Frog populations skyrocketed in a section of the Werribee River in 2014–15, in response to targeted environmental watering over the last three years. 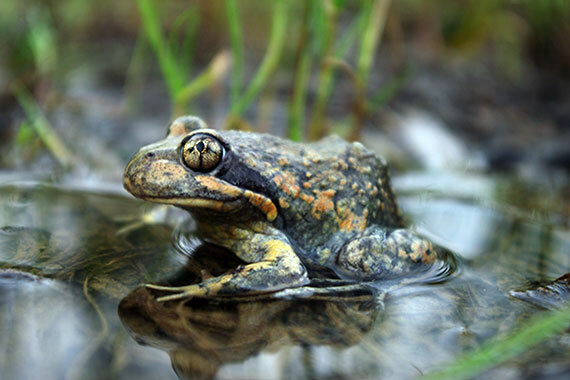 "Frog populations were at least 10 times more abundant in a reach that received environmental water compared to other sites that didn't receive environmental water," Bill said. "This is a great example of how systems can be managed adaptively, not only for changing seasonal conditions but also in line with positive monitoring results." Monitoring showed not only greater numbers of frogs, but greater diversity of species, including southern brown tree frogs, common froglets, striped marsh frogs, pobblebonks and whistling tree frogs. There was very strong visible evidence that environmental watering in 2014–15 also dissipated a blue-green algae bloom in one reach, and helped small bodied fish move between the estuary and freshwater reaches – aided by a new fishway.